About Kate: An American, like The Dukes of Hazzard, Flavor Flav, and corndogs, Kate McCabe now resides in Manchester. 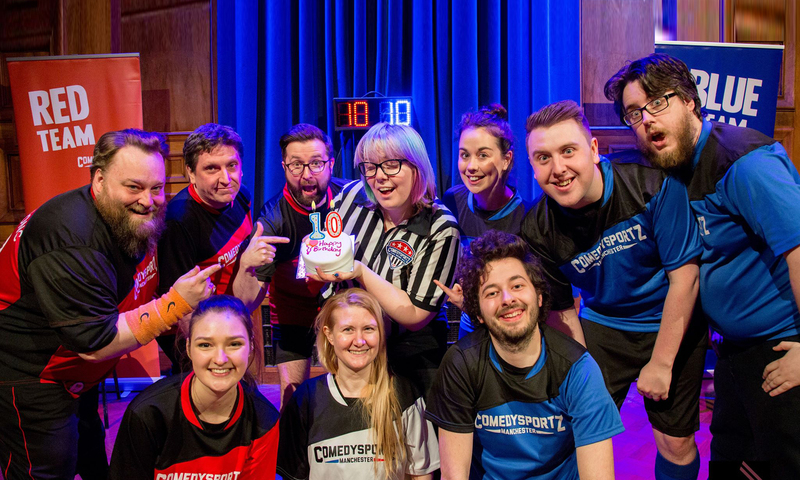 She was originally trained in Improv in the sleepy university town of New York City where she performed with the all-girl long-form troupe, The Hester Prynnz. 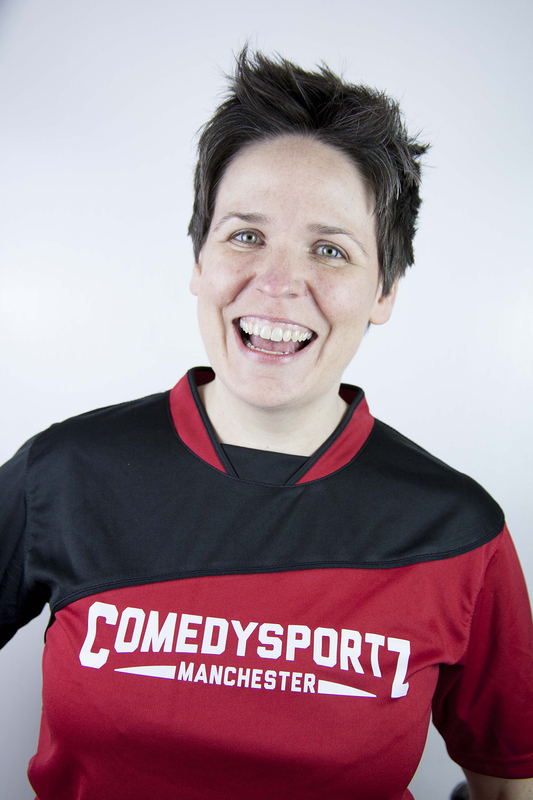 She enrolled in ComedySportz classes a couple of years ago and is thrilled to now be playing as an official team member. Especially because it follows the tradition of only performing in troupes that end with a ‘z’ where an ‘s’ should be. Kate performs stand-up wherever she can get the stage time. Hobbies include: comic books, napping, snacking, karate-kicking, and ignoring responsibilities to complete various video games.